Floors in this new hotel are made of cement, in keeping with the earthy tones of aspa, the compact volcanic Santorini soil formed from ash, lava and pumice stone. Together with the black and red stones in the walls they form a dialogue with the island's unique geological strata. Described as an "optical dystopia", this building, with its large glass wall and white exterior, is designed to be an optical illusion. Behind the columns of the east facade of the Opéra Garnier, the restaurant is located where horse-drawn carriages used to drop off ticketholders arriving for a performance. Creating a new space in the building meant following strict guidelines dictating that it could be removed completely at some point without damaging the existing historical structure. The designers of the restaurant were not allowed to touch any of the walls, pillars or ceiling: accordingly, the design is a veil of undulating glass sliding between each pillar and held in place by a single strip of steel running along the arched curve of the building. A private museum built to exhibit and preserve the collection of around 300 ultra-realist paintings collected by the industrialist Masao Hoki. Layers of long galleries are stacked on top of one another, some appearing to float in space. A high-rise residential development consisting of 80 units, bordered by wetlands, in one of India's most populous cities. 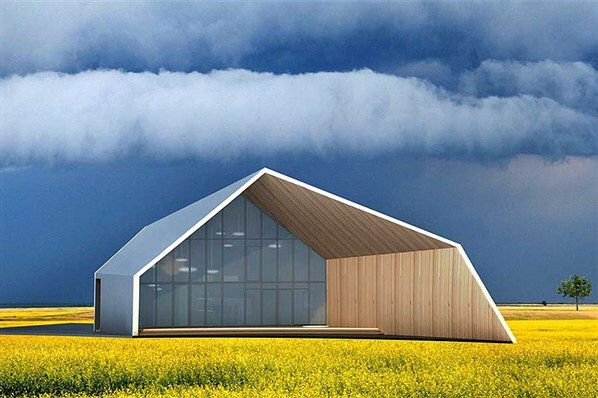 A highly energy-efficient housing prototype that produces three times more energy than it consumes. It uses the same hi-tech method deployed in its own construction - so-called 3D printing - to fashion its own domestic tools. Framing a gently undulating landscape with a view of the ocean in the distance, this small chapel is perched at a height of 90 metres on a steeply sloping hill. Visitors approach the chapel from a circuitous road leading up to the hill. 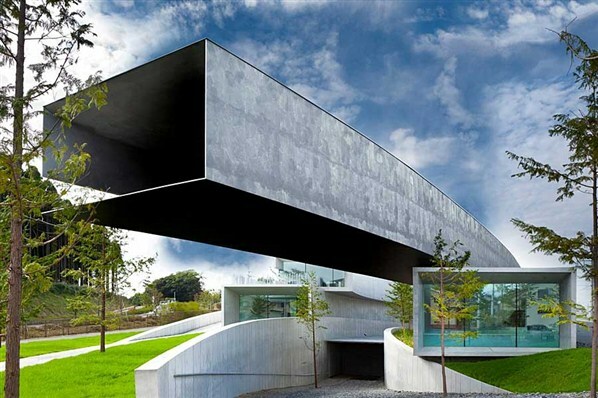 As they enter the structure, a doorway widens into a cavernous space created with a large cantilevered concrete roof that folds up from one side. 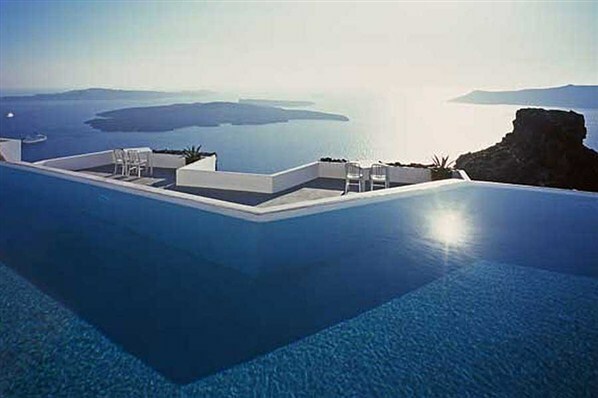 The cross sits on the edge of a rectilinear water pool with an infinity edge merging with the ocean in the distance. 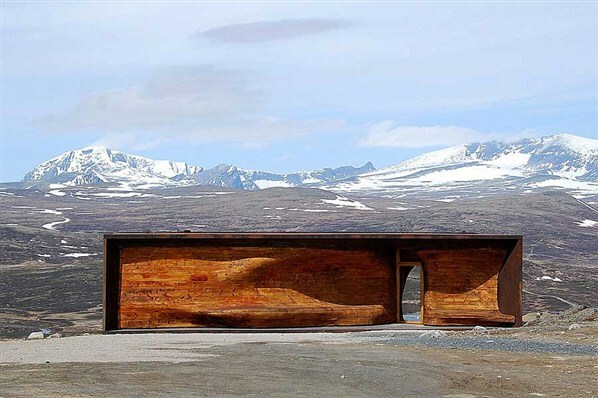 The raw steel frame and weathered wooden planks of this pavilion were designed to blend in with the mountainous landscape and aid viewing of the park's wild creatures. 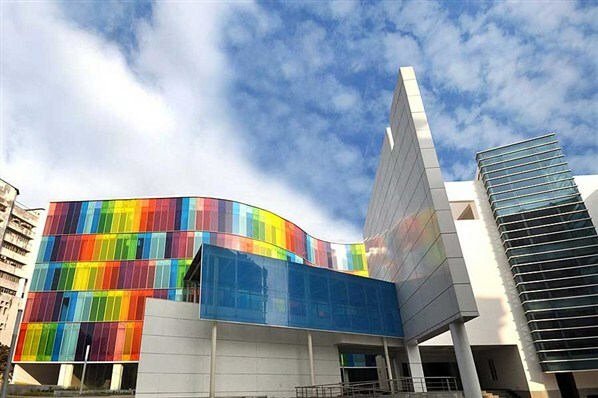 A building housing a management institute whose coloured laminate, with its discontinuous pattern, is meant to symbolise the unpredictable nature of the sky as well as the vibrancy of youth. 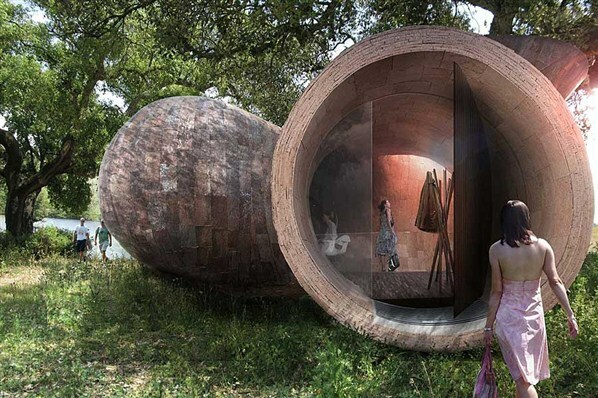 Made from cork, this design is based on the repetition of a root-like structure. The inhabitable sculpture recreats and enlarges a chromed iron structure from 1968. 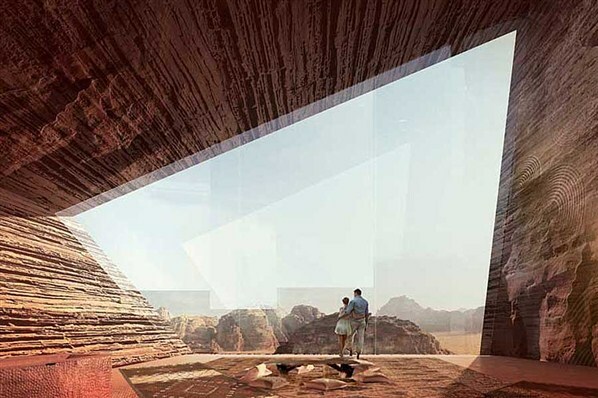 The Wadi Rum Desert Lodge is designed to allow guests to fully appreciate the surrounding desert landscape. Residences, rooms and hotel amenities are built into the cliffs and the other natural faults and fissures of the land. 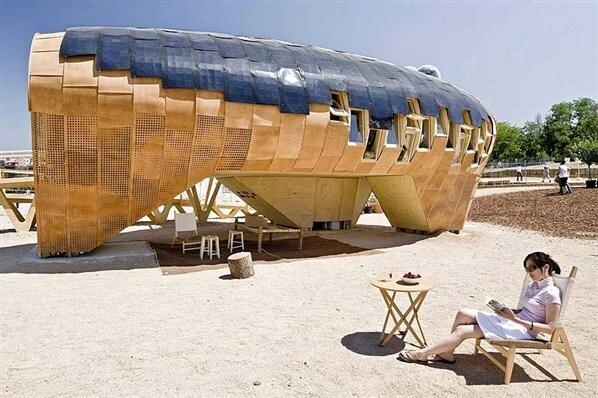 Many of the surfaces and building materials are left raw and accented only by simple materials. blurring the boundaries between what is natural and manmade. 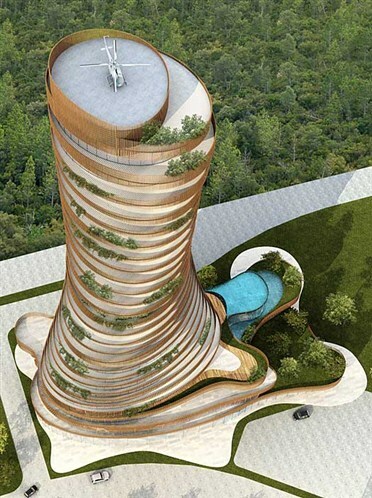 A high-rise luxury residential project under construction in one of the largest and most developed cities in Turkey. 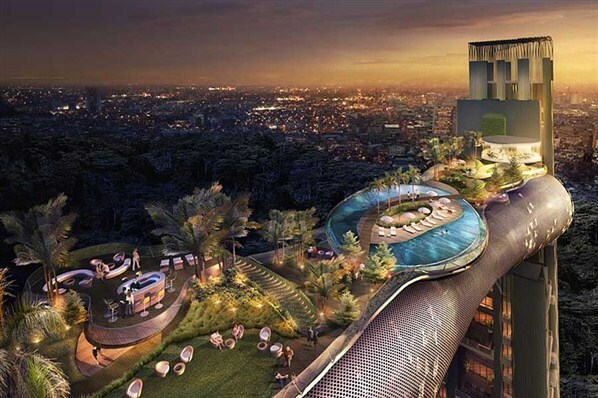 A restaurant at the top of the building under a helipad provides a 360-degree view of the surrounds. Composite wood louvers are used for the balconies, to make the exterior feel warmer and to provide an overall softer visual effect. 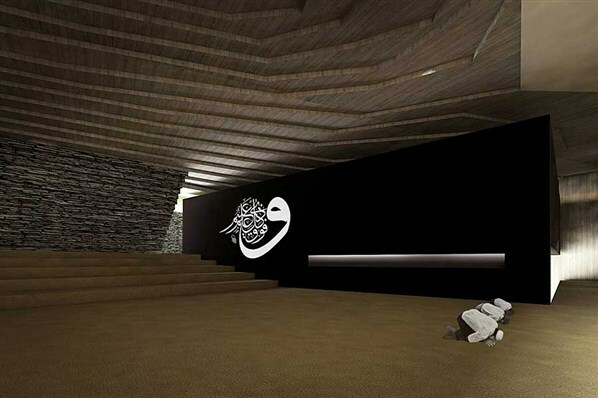 This building aims to address the fundamental issues of designing a mosque by distancing itself from the current architectural discussions based on form and focusing solely on what the architects call "the essence of religious space". The building blends in almost completely with the surrounding topography; the outside world is left behind as one moves through the landscape, down the hill and between the walls to enter the mosque. 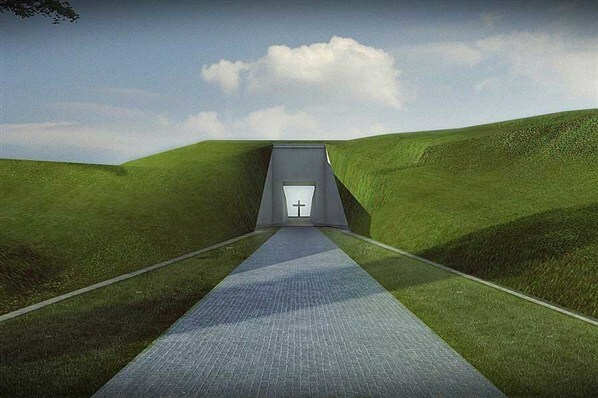 Inside, the simple, cave-like space is intended as a dramatic and awe inspiring place to pray and be alone with God. 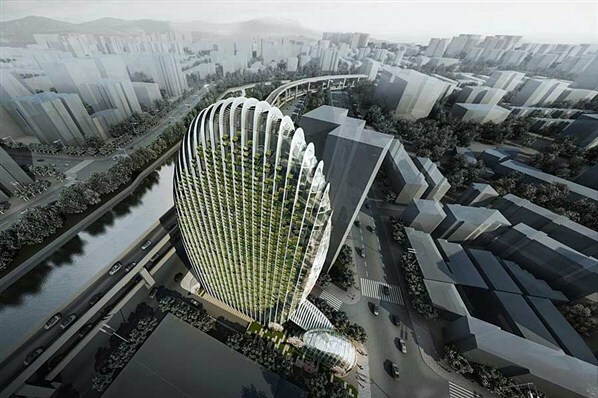 Located near the Jilong River, the design for the Taipei Nangang Office Tower draws inspiration from the shape of the river pebbles to attempt to convey ideas of softness and elegance, as well as strength and character. 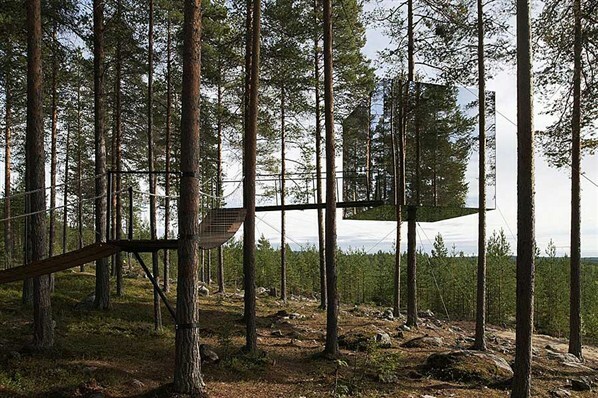 This new hotel in the far north of Sweden, close to the Arctic circle, is made from lightweight aluminium hung around a tree trunk and clad in mirrored glass to reflect the surroundings and the sky, creating a camouflaged refuge for two people. Inspired by the wave-shaped pebbles of Batumi beach, this proposed Black Sea city's aquarium is meant to resemble a rock formation visible from land and sea. 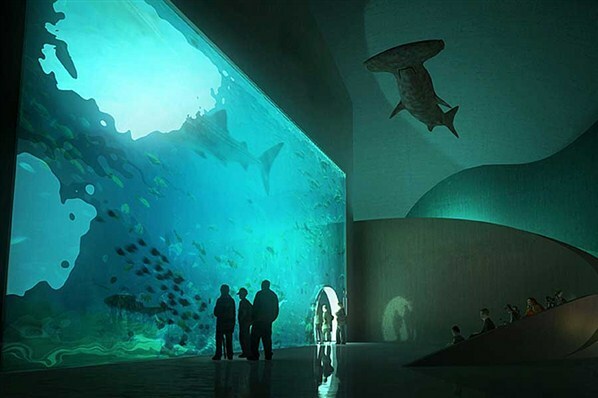 Four self-supporting exhibition areas will each represent a unique marine biotype.